In November 2007 i posted an article on this error. Lot of users, including me, had a tough time resolving this issue. While browsing through one of the forums i bumped into this thread. Though of posting it and sharing. Looks like the resolution is pretty simple. Click Start menu > Settings > Control Panel, double-click Add or Remove Programs. Click Business Contact Manager for Outlook 2003 in the currently installed programs and updates list. Click Remove, and then follow the instructions on your screen. Posted in: Errors, MS Excel, QuickFix. The Ticker component provides a way to display horizontally scrolling text in your models. Tickers may be familiar as they are frequently used in television news programs. Unlike television, however, Xcelsius models are interactive, and as such, the Ticker component can also be used as a Selector. For example, a Ticker being used to display news headlines could be configured to display the entire story when any one of the headlines is selected. The Ticker has a unique scrolling text visualization, but it has all of the behavior of a menu component. With each selection that is made, data corresponding to that selection is inserted into a range in the spreadsheet. The ticker can be used to provide unique navigation or drill-down functionality to your models. This is only available in the Designer version if you are using version 4.5. Posted in: Examples, Training, Tricks, Uncategorized. 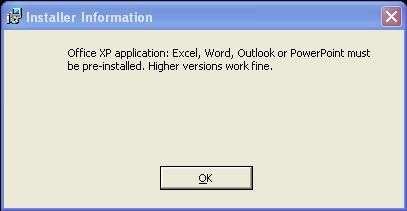 Posted in: Errors, MS Excel. If you don’t pay off your credit card balance every month, the interest assessed on your account means you may be paying more for the items you purchase than you expect. And if you spend beyond your means and add up considerable credit card debt, the extra money you pay in interest can be alarming! To find out how much extra you might pay on credit card purchases, use this simple calculator. Inspired by the excel version of the same from Vertex32. The implementation and functionality of Microsoft Excel running on a Mac is quite different from Excel running on a Windows machine. Since Xcelsius uses MS Excel to build dashboards, at this point in time it is not possible to build Dashboards using Xcelsius on a Mac machine . There are no immediate plans to port Crystal Xcelsius to the Mac platform. If you already have data in the form of Mac Excel, you can copy the file over to a windows based machine and build dashboards using Xcelsius. All the SWF files generated using Xcelsius can be viewed on a Mac Machine.